"Motown Magic", a Boeing KC-135 of the 927th Air Refueling Wing is based at Selfridge Field, Michigan. 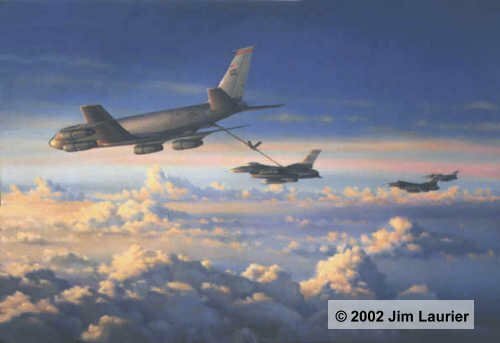 As a participant in the Air Force Art Program, Jim was a guest of the Air Force one evening when we flew this refueling mission for F-16's.. The painting you see here is his depiction of the event.